So here is a property for sale that we feel could make the perfect property to host a big festive celebration. This detached five bedroom, five bathroom home set in the sought after location of Epsom Downs offering easy access to Tattenham Corner, Epsom town centre and local transport links. 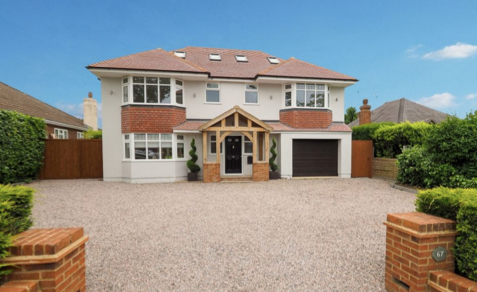 Guide Price: £1,195,000. The property has been modernised to a very high standard by the current owner and offers new and modern heating and media systems throughout. The property is approached via a large graveled driveway providing parking for multiple cars. The accommodation comprises of a large entrance hall with engineered solid oak flooring throughout, a separate family room, snug, luxury fitted kitchen/dining room, downstairs W/C, five good sized bedrooms all with en-suites, dressing room and games room which could be used as an additional bedroom. The property also benefits from a garage, a secluded rear garden and no ongoing chain. For more information please follow this link.